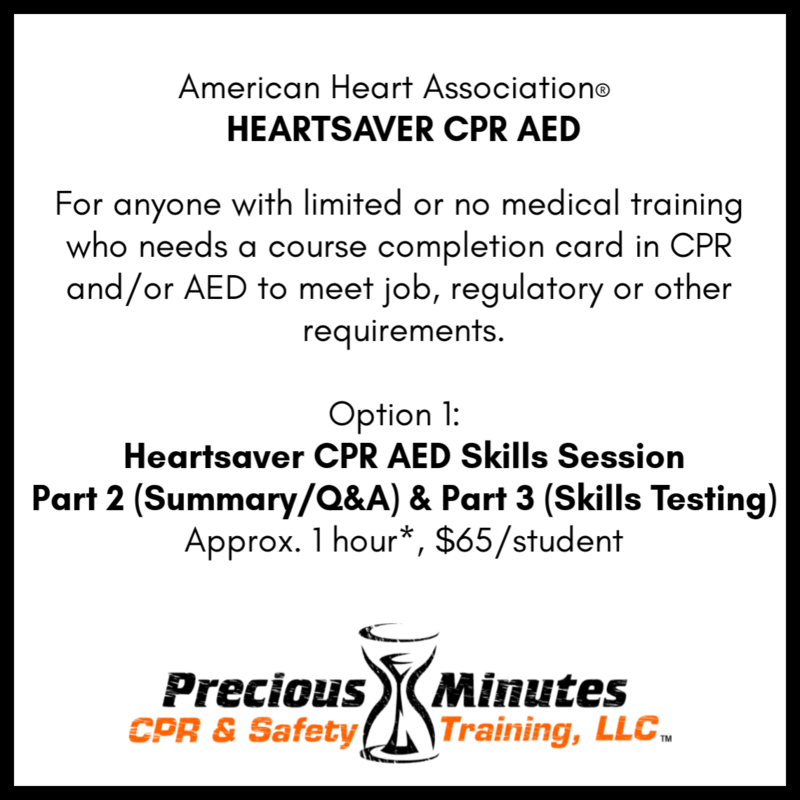 Heartsaver® courses are for anyone with limited or no medical training who needs a course completion card in First Aid and/or CPR/AED to meet job, regulatory or other requirements. 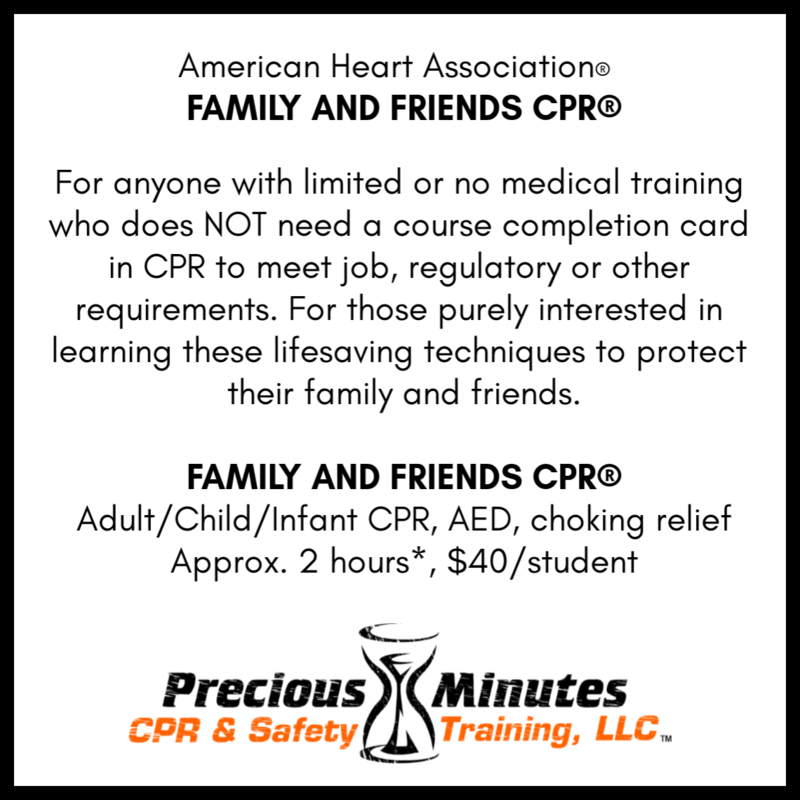 Or anyone who is interested in learning the lifesaving techniques to protect their family and friends. 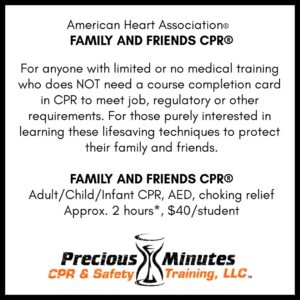 Heartsaver® First Aid – First Aid Basics, Medical/Injury/Environmental Emergencies, including choking relief techniques, etc. 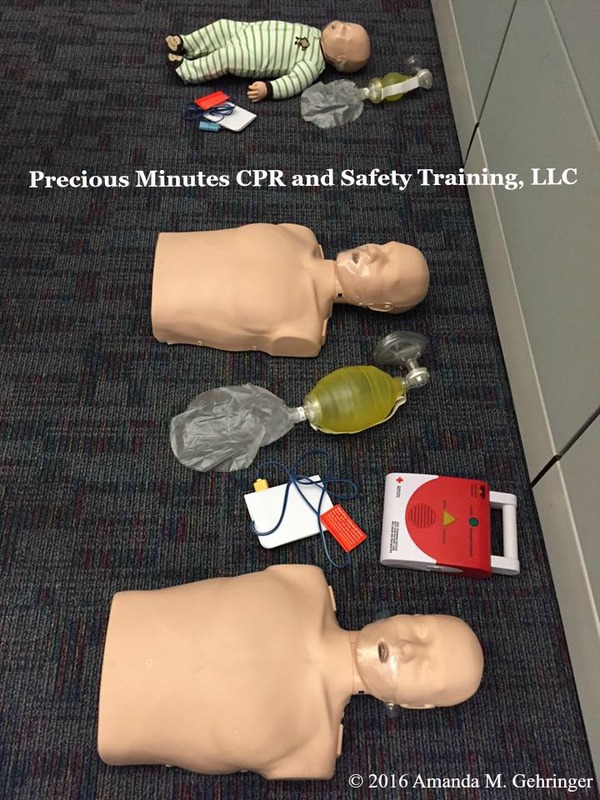 Heartsaver® CPR AED – Adult/Child/Infant CPR, AED, choking relief techniques, etc. 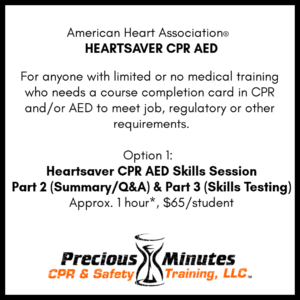 Heartsaver® First Aid CPR AED – Two courses in one, see above descriptions. Heartsaver® Pediatric First Aid CPR AED – Teaches child care providers and others how to respond to and manage illnesses and injuries in a child or infant in the first few minutes until professional help arrives. Designed to meet the regulatory requirements for child care workers. Also appropriate for camp counselors, teachers, foster care workers, coaches, youth group leaders, and any other adult responsible for children including parents, grandparents, and babysitters. * The length of courses vary depending on size of the class, specific needs, and the modules being taught, with skills practice and optional written testing during the course. Call or email for more information or to register today! CPR face shield keychains! 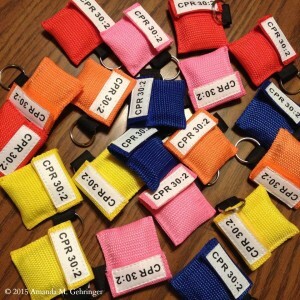 Colors available; red, pink, yellow, orange, blue, and black. Measuring 2×2 inches with a velcro close/easy open to reveal the one-time use face shield barrier device to protect you while giving breaths to a cardiac arrest victim during CPR, while conveniently reminding you of the compressions to breaths ratio… 30:2. Available at any PMCST course.